NEW DELHI (AP) — A cyclone hit the coast of southern India on Friday, killing at least 13 people, damaging homes and forcing the evacuation of more than 80,000 residents. 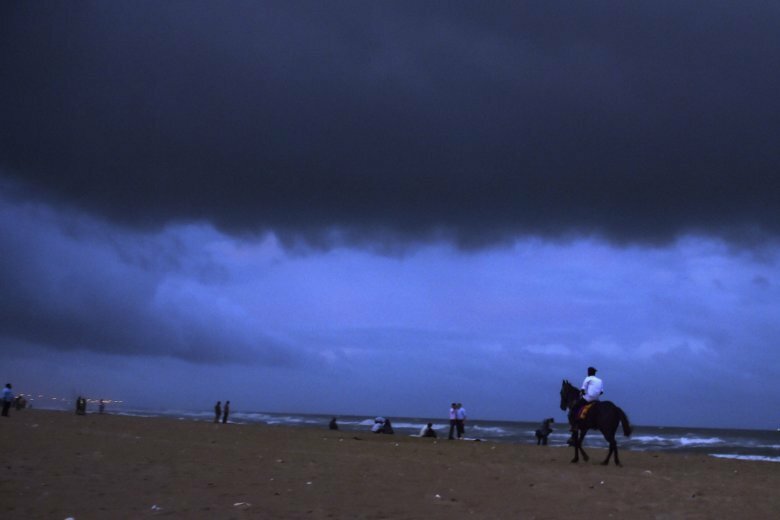 Cyclone Gaja blew ashore in Tamil Nadu state with heavy rains and winds of 90 kilometers (55 miles) per hour, said Narendra Kumar, a National Disaster Response Force official. The storm weakened after coming onshore. People living in low-lying areas had been taken to more than 470 relief centers in six districts, and fishermen were warned to stay away from the sea. The state’s top elected official, K. Palaniswami, told reporters the storm had killed 13 people in the state. Initial reports indicate the deaths were caused by wall collapses and electrocution, said National Disaster Response Force official Umesh, who uses one name. The storm felled trees and power lines, and authorities preventively disconnected the electricity supply to the worst-hit areas to prevent electrocutions. Schools were closed in places, and vehicles remained off the roads in most parts of Nagapattinam and Karaikal districts, the Press Trust of India news agency said. Heavy rains damaged rice fields and roads, and strong winds uprooted banana and papaya trees along the coastline. Nagapattinam district bore the brunt of the cyclone with a rainfall of 15 centimetres (6 inches), the local weather office said. The storm heavily damaged a 16th century Roman Catholic Shrine Basilica at Velankanni, a small town in Nagapattinam district, Press Trust of India said. The cyclone destroyed or partially damaged nearly 1,600 mud huts and uprooted more than 5,000 trees in the area, state authorities said. State-owned Tamil Nadu Generation and Distribution Corporation said more than 13,000 electricity poles, 13 distribution transformers and 1,000 cables were damaged by strong winds and rains. Tamil Nadu state is prone to cyclones that develop in the Bay of Bengal. In 1999, a cyclone killed more than 15,000 people in eastern Orissa.